In the discussions with various theists that I’ve been having, I’ve seen the argument from authority, which claims if someone is “smart” and believes in “x”, then that makes “x” true. This is similar to another common claim by theists called “Sophisticated Theologytm” (I think Dr. Coyne over on Why Evolution is True might have coined this term, but not sure). The argument behind that is the theist in question will claim that atheists shouldn’t debate with the average theist because they don’t “really understand” but a certain theologian simply must have better arguments. The usual ones that are claimed are C.S. 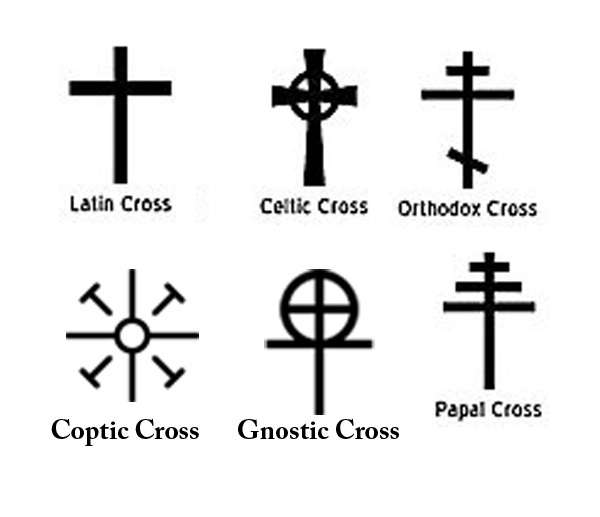 Lewis; if one is a Roman Catholic, the Church Fathers, or G.K. Chesterton; American evangelicals go to William Lane Craig, or Pat Robertson or Billy Graham; liberal Christians like Crossan and Spong, etc. I thought I’d take the time to show that these theologians can be just as wrong as those supposedly not as well “blessed”. I grew up when one of these, Billy Graham, was “the” pastor on TV (a earlier post about him is here.). He has done some good things, like working for integration. He’s also done some despicable things like his anti-semitism (he has since claimed he did not mean such things) when being Nixon’s “spiritial advisor” and worked against Kennedy because he was Catholic. I guess if you believe in the same version of the same religion, it’s easier to like someone. However, that did change when, after calling Mormonism a cult, he decided that a cultist, Romney, was now okay since he opposed Obama. That could indeed be his son and not him, since Billy isn’t granting interviews anymore and Frank claims to speak for him. Of course, some Christians are sure he’s the anti-christ. More of that good Christian agreement and love there. In my local paper, we have a column that’s from the Billy Graham Evangelical Association. It’s a question/answer type column, addressed to “Dr. Graham”. Since neither appear to have doctoral degrees, I’m not sure where this comes from, unless it’s something like Stephen Colbert’s honorary DFA. The question this week is from an “F.R” who asks “is it true that the god of the OT is different from the god of the NT?” and goes onto say that he’s heard “people” say that this god of the bible was angry and cruel in the OT but kind and loving in the NT. The following is the response in italics. I’ll address it from my particular atheist point of view. DEAR F.R. : No, it isn’t true; God is the same from one end of the Bible to the other. His character is unchanging, his love is unchanging, his purity is unchanging — and his plan for the human race is unchanging. The Bible says, “I the Lord do not change” (Malachi 3:6). I suppose one could say that this god’s love is unchanging because it never existed in the first place. This god has been just as unloving as always, demanding obedience is not love. 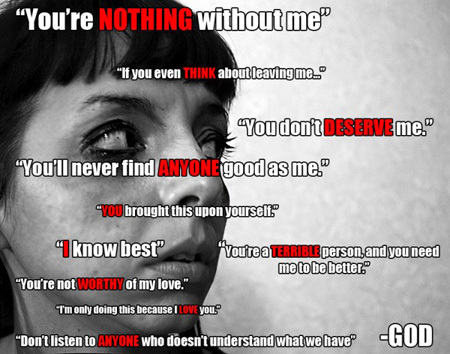 Anyone who has an abusive parent knows this. Believers are to hate their families if they do not believe per Jesus; and it is the word hate, there is no qualifier to it in context at all. Paul changes this to allow for marriages to remain intact. If one is to believe that parables describe Jesus or God like in the stories about talents or minas, one is to kill those who do not accept worshipping this god. We also have Paul declaring tht those who do not worship his god deserving death. Then in Revelation, the figurative gloves come off and anyone who doesn’t worship this god is killed, and depending on the Christian, is either destroyed or condemned to eternal torture. God’s purity is another question. Since we never have encountered it, there is no way to judge “purity”, unless we get into a circular argument that “anything that is deemed god is pure by definition” similar to the “anything wanted by god is “good” be definition”. Graham (be it Billy or Frank) also wants to cite the bible as proof of the bible god, that since it says that God doesn’t change, God doesn’t. They forget that the bible also says God changes his mind: in how many people it would take for him not to destroy Sodom and Gomorrah, in what it takes to be “saved”, changing his mind from destroying the Israelites to not (if he isn’t changing his mind, he is making empty threats, so which is worse?) One last thing to mention here, Malachi 3 is the source of where this god says to test him, something that many Christians insist that one cannot do to this god. Well, here it does, quite plainly. Now let the claims of “context” commence. What did change in the Bible was the situation in which God’s people found themselves. In the Old Testament, for example, God’s people were often surrounded by nations that rejected God and wanted to destroy them. At times, even God’s people turned against him and adopted the immoral ways of their pagan neighbors. God gave them every opportunity to repent, but sometimes he had no choice but to bring judgment upon them. Never forget: God is holy and just, and eventually all the evils of this world will be destroyed (as the New Testament teaches). This god, if it existed, would probably indeed be holy aka “divine” although not worthy of worship as we’ll see. Is this god just? No. Justice is not killing people for the errors of others. Justice is not punishing eternally for a finite “sin”. Justice is not changing the rules in the middle. Repeating something that is simply untrue does not make it true. At best, Graham uses the “if this god wants it, by definition it is “good”” or “just” or “fair”, and willfully ignores that his god does not even come up to human levels of such terms. As for the evils of this world being destroyed, no evidence for that at all. Just a lot of Christians, especially their leaders, making supposed prophecies of “end times a-coming real soon now!” for the last couple of thousand years. But God is also a God of love. In his love he created us, in his love he takes care of us, and in his love he provided the way for our sins to be forgiven so we could be with Him forever. That way is Jesus Christ, whose coming was foretold in the Old Testament and recorded in the New Testament. The Bible says, “The Lord is compassionate and gracious, slow to anger, abounding in love” (Psalm 103:8). Above I posted the “love is” bit from the bible. The Christian god is not patient (see Cain & Abel, Flood), nor is this god kind (sympathetic or helpful or gentle) (see Adam and Even, C&A, Flood, Job, etc). This god has declared itself jealous a whole bunch of times. One must be jealous to be envious and one must assume that other gods exist which poses a problem in and of itself. God does boast and is proud (see Job and Exodus where God shows off.) This god is always quite angry and easily, killing a man for keeping its magical box from falling over, killing a man’s son for the man’s sin. It supposedly does keep a record of wrongs, works with evil and has no problem with lying. As for protecting, ask Job’s family; trusts? a hard one if one is omnipotent and omniscient but I’d say ask the folks at Babel; hopes, rather hard for a omnipotent being and persevere? Changing its mind over what it wants in order to “save” people isn’t persevering, neither is the Flood, etc. It’s stomping your feet and flipping the chessboard. This god has failed if it can’t even fit its own supposed definition. We see this god takes care of nothing, with prayer unheeded and unanswered, only the desperation of Christians to believe coincidence is their god at work, or just like other theists are forced to do. The Christian excuse for this, as we have seen, is that somehow the prayers weren’t right or that their god has some “mysterious” reason for not taking care of his worshippers when it is obvious that he does not. The bible says that this god will answer prayers, seek and you shall find, ask and you shall be given. It says that this god is a father who will give what is asked for, not a snake when asked for a fish. At best is the excuse that there is some magical spell/prayer to be said, but to this day it has not been demonstrated that it works. The bible says that anyone who worships this god should consider the lilies and the birds, that this god will take care of them as well as he takes care of plants and animals. I somehow don’t think that the writers were thinking of how birds and flowers die by the millions thanks to weather, starvation, parasites, etc. It was an attempt to have people look out at a bucolic scene and not think too deeply. This god also did not make all of us in love if one is to believe Paul, who declared that this god made some humans to be hated and thus destroyed for no other reason than to use them as examples. and finally Paul, who caused even more problems with the claims that predestination was involved and through up the whole grace vs. works vs belief thing. I invite you to discover the Bible for yourself. But most of all, I invite you to discover the One who is at its center — Jesus Christ — by giving your life to him. I rather doubt that Graham is sincere when he invites anyone to discover the bible for themselves, since the bible is the best way to demonstrate that what the bible says, and what pastors say, isn’t accurate. One can read it to discover the stories about the central figure of the bible, but one finds that this character is anything but consistent or what pastors and priests preach. One of my next posts will be similar entertainment on how a rabbi is very sure that a Jain is wrong. We can haz wrong on all sides? Previous Post Not So Polite Dinner Conversation – Dear theist, part 4 Suprise!